I had the honor to be asked to serve as “guest faculty” at a Management Excellence event this week. I learned as much, I think, as the participants. It was a terrific experience, and I got to practice some skills myself by virtue of knowing I should at many times listen to how things were said rather than what was said. I also led some sessions. My first session was on managing up. I started with a scene from the movie Gettysburg — a film well worth watching in its entirety, BTW. In the scene, Southern General Longstreet — Lee’s #2 guy — orders General Hood to “take that mountain” (Little Round Top). Hood recognizes it is a poor tactic and proposes an alternative — a tactic Longstreet himself preferred. But Lee had ordered Longstreet specifically to capture the hill. And so Longstreet passes the order to Hood, who is later unable to execute successfully. My obvious intent was to focus attention and to provide two examples of managing up, a direct one (Hood to Longstreet) and an indirect one (Longstreet reporting on his failure to convince Lee). We had a good discussion on the scene as metaphor that led to analysis of manage-up tactics, concepts, etc. But what I found really interesting was the number of times later in the week I or others would refer to that scene. It became a metaphor for a number of items — management vs. leadership, the difference among mission, vision, and goals, and more. It reminded me — again — of how powerful storytelling and metaphor are as management tools. Leaders lead by telling stories — not battle stories, but personal tales of your vision, future histories of a better world. Steve Jobs is famous for his “reality distortion field,” but all leaders do it. Think of Reagan and “morning again in America,” or Clinton and his “bridge to the 21st century.” They’re memorable phrases, but they stem from stories in which the speakers believed and wanted us to believe. And they’re powerful visual images, too. Management may often be words and numbers, but leadership is pictures and vision. If visuals are a powerful teaching tool, as I rediscovered, think how much more powerful they are when they’re part of your story. As I was driving into the office yesterday morning listening to local talk radio, the host mentioned ‘creative destruction’ in a segment on the need for government to retool and purge itself of outdated ideas (and legislation). Creative destruction is a term made popular by economist Joseph Schumpeter to describe the creativity that springs forth from the continuous cycle of destruction and rebirth. 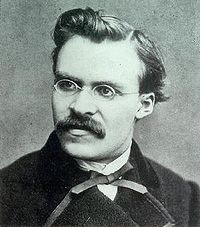 The philosopher Nietzsche also used this idea in his writings, but with an existentialist (and slightly less optimistic) perspective. I was familiar with the concept, but it got me thinking — about both my own team, and Microsoft at large. Creative destruction is, in management terms, the process of innovating over bad design. Or less efficient design. This is, as the Japanese refer to it, Kaizen: the act of continual improvement. Well, if it’s a policy or process that we’re all used to because “that’s the way things have always been done,” then nothing usually happens at the logical end of its life. Occasionally someone brings out a can of fresh paint and spruces up that old process with a fresh coat, but it’s still outdated. Think about how you are managing your team, and whether this describes your modus operandi. Are you throwing fresh paint on a tired process or bad habit? Or are you constantly throwing away what clearly doesn’t work, looking for incremental improvements? Are you taking time in team meetings or in your 1 on 1 sessions to get some real feedback about what you or your team are doing right, areas where you can improve, and processes that you can retire? 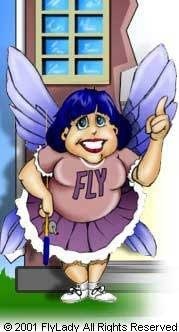 Jumping to the third item in my cryptic post title: my mother in law introduced my wife and I to the Fly Lady a few years back. I don’t expect many people reading this to have heard of this self-help system for de-cluttering your home, but my wife and I really took to it (we are HUGE fans of the control binder). Something that I have incorporated into my professional life, in a way, is the concept of “de-cluttering”: simplifying your life one baby step at a time, identifying and ridding your house/office/life of clutter. The idea is that once a week you find 27 items to throw or give away. I don’t know the magic behind the number 27…..so find the right number for you, and just do it. Make a conscious effort to simplify your life, your team processes, and your product solutions. Hopefully you can see how these things all fold together. At least they did in my mind in the short time it took for me to turn from Novelty Hill onto Avondale while driving toward the end of 520. Find what is broken, what has stopped working, what has no value and get rid of it. Embrace the creative destruction, find your inner Fly Lady, and maybe get a little existentialist. One need not read this post to understand the breadth and depth of the economic crisis upon us all. Banks are failing, Wall Street is crumbling, and companies all over the world are evaluating new ways to deal with long term economic hardship. Gallup polls over the last few years have indicated that approximately 30% of employees are disengaged, with 15% of those, “actively disengaged”. In 2007, Gary Hamel published a great book titled, “The Future of Management“, which asserts that while technology, employee talent levels, and market diversity, have changed dramatically over the last 100+ years, management techniques have not, and that management, as a discipline, is a ripe area for innovation. Typically, in hard times, managers will try to squeeze that extra 1% out of inventory, or layoff 10% of the workforce to reduce costs. Rarely do we hear about new management techniques being deployed to extract effort from the 15% who are “actively disengaged”. If a manager were to experiment with rewards tied to earnings, self managing teams, and innovative ways to reach the Gen X or Gen Y worker, would it lead to a greater economic efficiency than squeezing any more “fat” from the production process, or reducing pay for long time employees? Often, in times of stress, people revert to what’s worked in the past, but it’s hard to believe that last year companies were running their production lines with a bunch of extra fat, or that they truly employed too many workers or were paying people too much. Perhaps, instead, it’s time to look at that big, juicy 30% of disengaged workers as a target for improving the economics of the firm. The Great Place to Work Institute has consistently found that companies that are classified as “great” score unusually high marks from employees on the question “Are you working in a fun environment?” Great companies scored 81% on this, compared to 62% for companies ranked “good”. If managers can innovate to improve the lives of the managed, then the “fallout” should be a reduction in the percentage of disengaged workers, leading directly to increased productivity, reduced costs, and improved earnings. If all of a sudden, 30% of the workforce starts doing more work, then that must have a positive impact. It’s at least something to consider instead of the knee-jerk reaction to squeeze harder. Successful companies don’t cost-cut their way to greatness. There is a lot of room for interpretation and experimentation. Could Alfred Sloan have predicted the pervasive use of IM (instant messaging) – or when Henry Ford introduced the assembly line, did he anticipate the use of wikis as a way of sharing information between workers? How about texting, YouTube, Facebook, LinkedIn, Sharepoint, Twitter, etc? All these new school techniques facilitate more rapid and deeper communication, much in the same way the “organizational memo” of the 1950’s did in that era. Wouldn’t it be impossible for management styles NOT to be impacted by a change in communication styles and techniques? Wouldn’t extending an olive branch to these disengaged workers through the application of new and improved management capabilities be a great way to initiate positive change in a challenging economic climate?